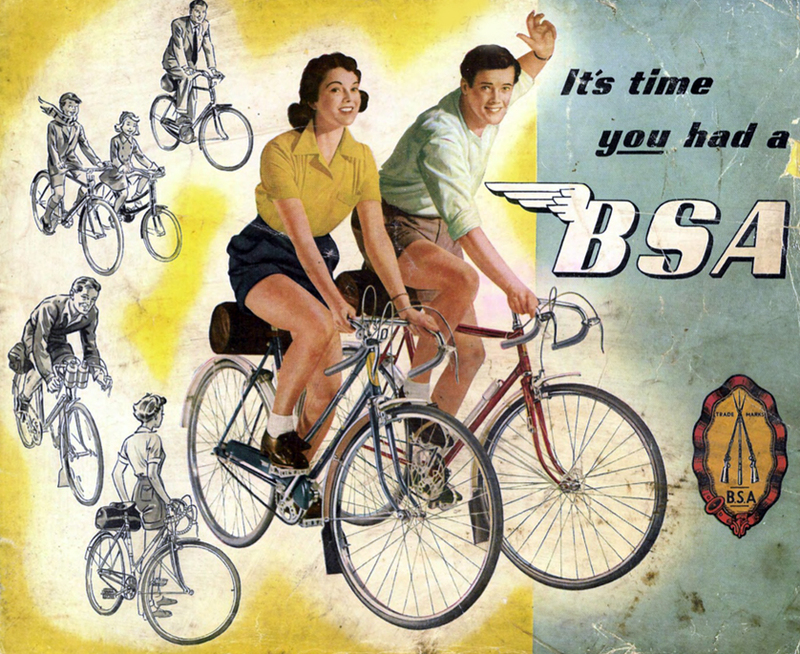 It was sound marketing strategy from BSA. 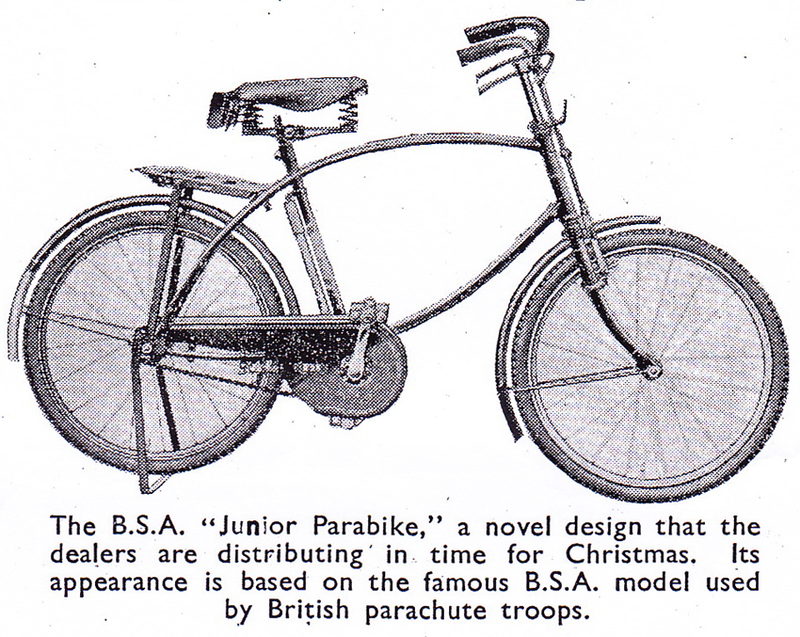 As you can see from the Parabike poster, boys and girls could gaily ride their parabikes while army paratroopers parachuted down behind them with the real thing. 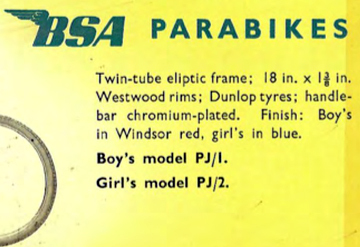 According to the brochure, this pair of parabikes are in their original colours, the boy’s in Windsor red and the girl’s in blue. 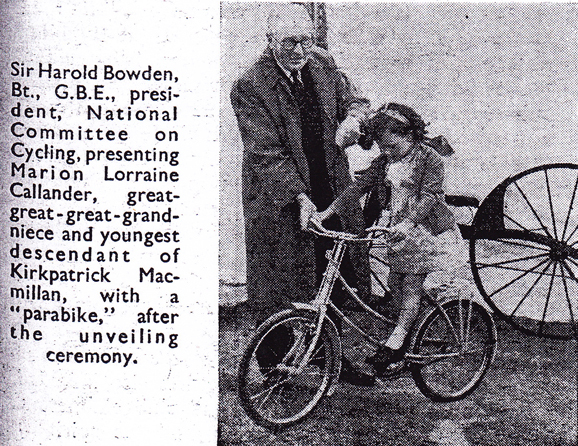 Some of the brightwork on the girls bike has been silvered. 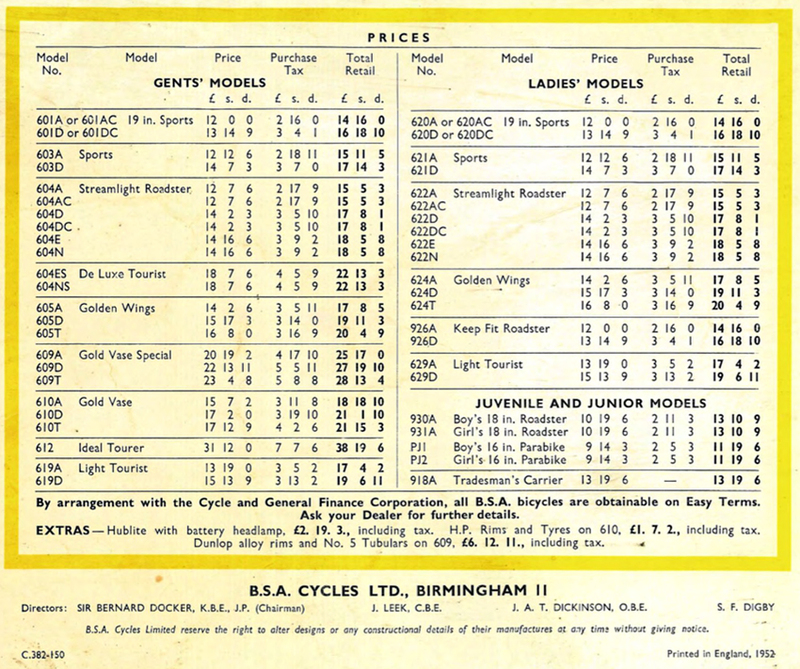 But it’s hard to know if the red or blue paintwork on the bikes is original or an older restoration. Both have recently been serviced, and last weekend I brought them with me when I went to Amberley Veteran Cycle Day so my friends’ kids could ride them.